Today, November 5th, 2014, marks the end of “Like-to-see Fan-Gating” and “Incentivized Social Actions”. This means that you can no longer require people to like your Facebook Page to access or enter a promotion, or ask people to like or share your Facebook Page to get something in return. As one of the leading providers of Facebook contest software in the world you might imagine that, this past week, Wishponders have been running around like headless chickens, screaming, tearing our hair out and hiding in corners. I’m sure you’ll recognize the “Click Like to Enter” image from your favorite businesses on Facebook. As entertaining as that would be, I’m afraid we may disappoint you. For a long time, the Like-Gate was one of the primary draws to software like Wishpond’s. Without a tool like ours, incentivizing Facebook Likes was next to impossible. Like-Gates require Facebook users to “Like” your business’ page in order to enter to win a prize. They are also almost impossible to create on your own accord without the help of software like Wishpond’s. Facebook is removing the Like-Gate to be sure your business is attracting “quality connections” rather than users only interested in accessing your business’ contest. We at Wishpond were, initially, somewhat concerned. For a couple years Like-Gating has been one of the biggest draws for our clients. But, a few scant minutes later, we shook it off and went back to doing what we were doing. When someone clicks on a Facebook Ad or post promoting your business’ Facebook contest and is sent to your contest tab, they’ll no longer be stopped and shown the “Like us to Enter” image I included above. Instead they’ll be sent directly to your contest’s page. This doesn’t mean you can’t ask that users to Like your business, simply that they don’t have to do so to access entry. With the removal of the Like-Gate, Facebook users who do Like your business’ Page are more valuable. Facebook recognized this, and we’re embracing it. No longer do you run the risk (when you engage with a business like Wishpond) of garnering a Page Like from users only interested in your prize. Now, each and every Like you incentivize through a contest will be a user genuinely interested in your business. People are no longer required to Like your business, but (like the “subscribe me!” check-box on your landing pages) those who do so will be substantially more valuable, convert at a higher rate, and are far more likely to engage with Likes, Comments and Shares on the Facebook platform - thus boosting your Facebook Edgerank. Since I first joined as a writer with Wishpond I’ve written the line “be sure you use a contest prize directly related to your business” probably 100 times. It was a constant battle against naysayers who argue that Facebook contest platforms like Wishpond generated useless Likes and should be avoided as a result. We argued back that, so long as your prize was directly related to your business (such as a gift card, product or coupon), you’d only generate Likes from users likely to engage with you in the future. With the removal of the Like-Gate, I never have to write that sentence again. You have no idea how happy that makes me. 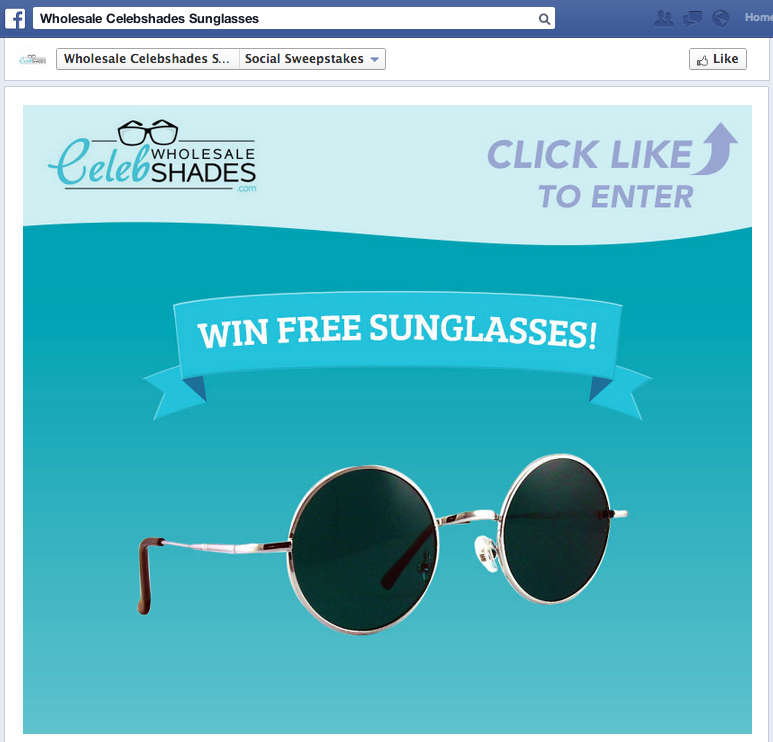 Incentivizing engagement with your brand on Facebook is still best done with a contest. Offering a prize related to your business or products is the best way to drive brand awareness, encourage people to (voluntarily) share your brand with their friends, and attract people who are (clearly) interested in what you sell. And just because the Like-Gate has been removed, you can still host email-gated contests on Facebook landing pages to generate valuable, interested leads from the platform. About nine months ago we recognized that, in order to grow as fast and as large as we want to, we needed to diversify our platform. As a result, we started developing a whole bunch of awesome software (and none of our developers slept for months). Diversification like this means, when we’re hit in the kidney we can strike back in other areas of our business. With the inevitable fall in Likes resulting from removal of the Like-Gate, Facebook landing pages (that capture emails and contact information) will become more valuable. And Wishpond is fine with that. In short, we’re not worried about it. The online marketing sector is one that changes on a daily basis. Facebook’s removal of the Like-Gate was not the first (and won’t be the last) thing to hit our business in the side. But, through the foresight of our CEO and the tireless efforts of underappreciated coders, we’ll be able to absorb this blow and move on to bigger and better things.